I’m on a mission to try different foods that go viral on social media so you don’t have to… or do you? Starbucks did it again and just in time for Halloween. 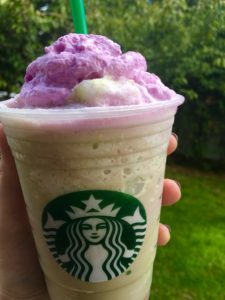 They’ve put out another limited edition Frappuccino that has gone completely viral on social media. For some reason if you only release something for a couple of days people just go crazy. I’m someone who likes to sit back on viral foods until I see how others react to it, but with each of Starbucks’ recent special frapps, there’s definitely been mixed reviews so sometimes you just have to try it for yourself. First, I wanted to read up on what this drink was even made of so I knew what to expect. 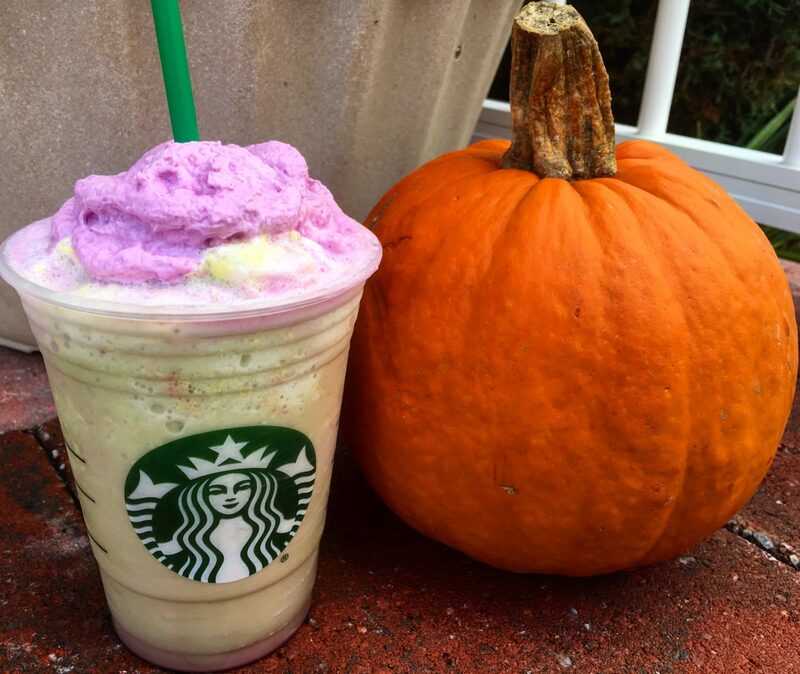 The ‘Zombie Frappuccino’ (which is available only from October 26th through Halloween) consists of a tart green apple and caramel frapp base, with mocha flavored blood dripping around the rim of the cup and finally, it’s topped with pink whipped cream or “brains”. Next, I read up people’s reviews of the drink to see how everyone was reacting to the Halloween-themed drink. A bag of mixed opinions is what I found. I finally decided it was time to try it for myself. First thoughts, the whipped cream is way pinker than I thought it could be. After taking one sip, I already knew that I didn’t want any more. I found the drink too sweet and not at all a flavor that I enjoyed. The combination of caramel apple and mocha did not mix well for my taste buds. I was surprised, because even though I’ve found Starbucks’ other limited edition frapps hard to drink, I still was able to take more than one sip of them. 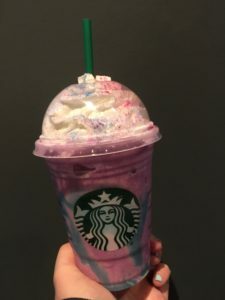 If you remember back in April Starbucks caused some chaos when they debuted their limited edition ‘Unicorn Frappuccino’. Not only were reviews mixed, but employees of the popular coffee chain spoke about their frustration in how hard the drink was to make and the sheer amount they had to create in a day. Supplies for the drink ran out at certain stores, causing even more of a problem for those that had to drive around to find a Starbucks that still had the ingredients. I actually quite enjoyed the pink and purple drink, but it wasn’t something I would ever get more than one of. When comparing the two, the Unicorn drink was more my style (and by that I mean I could drink it). In my opinion, Starbucks’ creates these drinks for Instagram (it’s more about the way it looks than how it tastes). Yet, they’ll keep creating and we’ll keep buying so I guess we’ll just have to wait till they announce the next themed frapp.